This isn’t my first 3-day weekend off in the summer as a superintendent, but there is still that certain level of anxiety that one feels when it’s longer than 1 day off. As my old boss used to say, “We are control freaks in an uncontrollable environment”. We literally like to control everything, and if you are a heavy technology freak like me, you control EVERYTHING with your iPad. I control my operating budget, irrigation system, spray logs, employee time off, job board, invoices, project quotes, labor hour tracking, weather data, and I even try to predict future weather forecasts with the 18 different weather apps that I have. But, when the day is done, we are still at the mercy of greater powers. We don’t get to make those decisions, even though sometimes we wish we could. It’s those times that we let the anxiety ridden feelings dictate our lives, including taking time off or not taking time off in the summer. This can really mess with work/life balance, even if we never meant it to. I am in Wells, Maine right now, camping with my family. Well, we slept in a tent last night, and then moved to a cottage down the street that is actually very nice. It has a little kitchen, air conditioning, and a separate bedroom for our daughter to take a nap in. I would be lying if I said that I didn’t take my iPad, didn’t communicate with my assistant all morning, and didn’t check the irrigation system, labor hour database, and answer emails while my daughter has been sleeping. Yes, I did let anxiety take over me this morning and did some work. But I came to Maine for three reasons. Number one is quality time with my family. Watching my daughter camp for the first time was incredible! Watching her play in the ocean this afternoon will be even more fun! Number two is my faith in the greater powers. Even though there are those times that I wish I could take it on my shoulders, I have faith that He will help me out. Number three is the fact that I have a very trustworthy assistant and very skilled watering team. 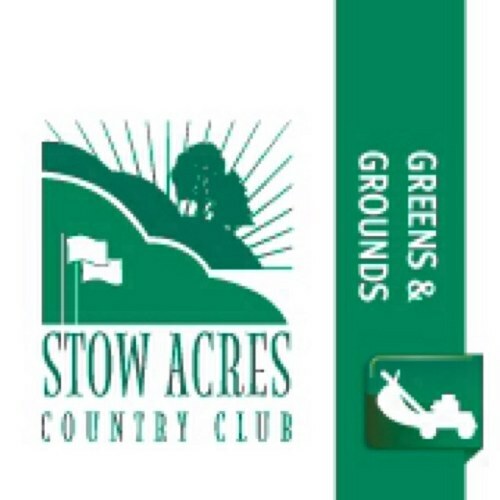 The plan/program that we have in place at Stow Acres is pretty bullet proof in terms of keeping turf cool. My assistant Kevin Bracken has been with me for five years now. He is about as good a they get in the turf industry and I am very fortunate to have him on our team. I am in Maine a little less anxious because I know he is back home keeping the courses well hydrated! Thanks Kevin! There’s something to be said for a having a top assistant on board!